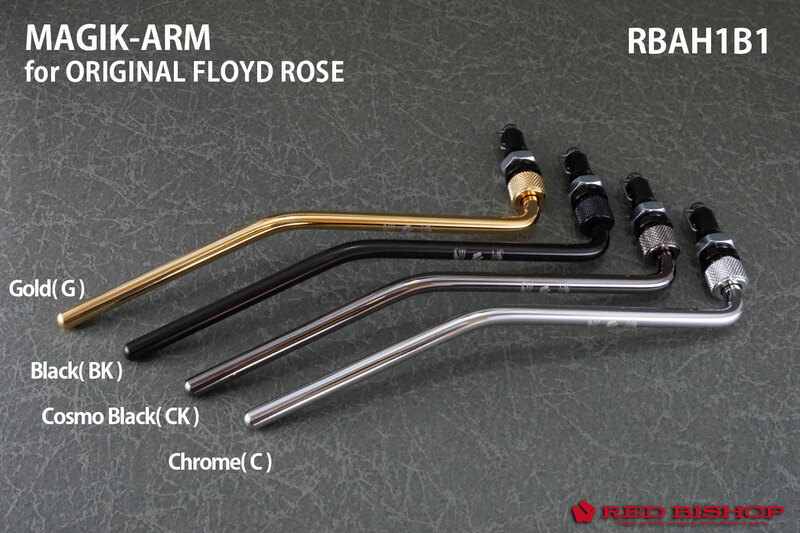 " MAGIK-ARM for Floyd Rose (RBAH1B1) " is the first product of RED BISHOP brand. This product is aimed for Minimizing the " play " of whammy bar on tremolo guitar. Floyd Rose type bridges can allow guitar players to do wide range arm-down and arm-up actions. But there is one problem for comfortable play. It is the " play " of tremolo arm. There has been a headache of wobbly trem arm. Please grab your guitar's tremolo arm and do arm-down and arm-up slowly. Maybe almost There is "wobbly play " . In the meaning of direct feeling, most of professional guitarists and high-class amateur musicians don't feel this " play " comfortable. On the other hand, there was not good solution in fact. And further, we adopt the snap-in structure for backstage convinience, so you can remove tremolo bar in an instant. 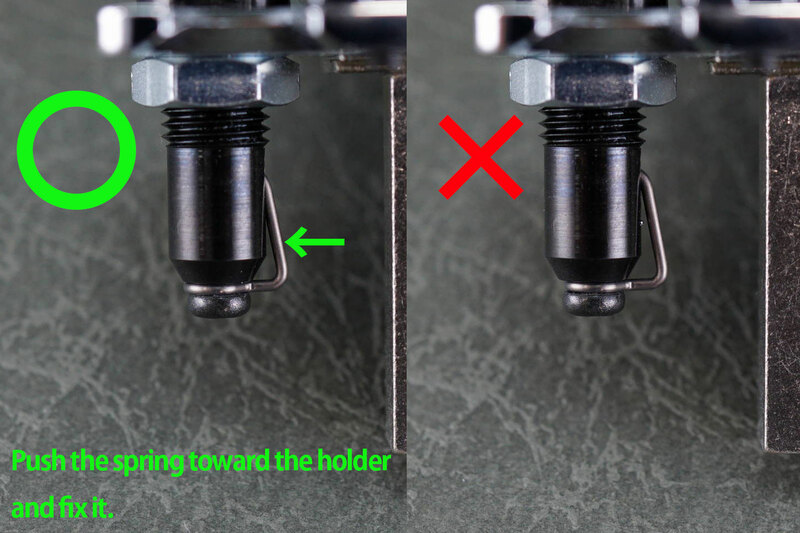 You can adjust torque with torque-cap screw, so you don't need any wrenches. The shape of tremolo arm is the same as Floyd Rose ORIGINAL, so you can easily switch for using MAGIK-ARM. You can choose your favorite color from 4 colors. ・Remove the original arm holder. 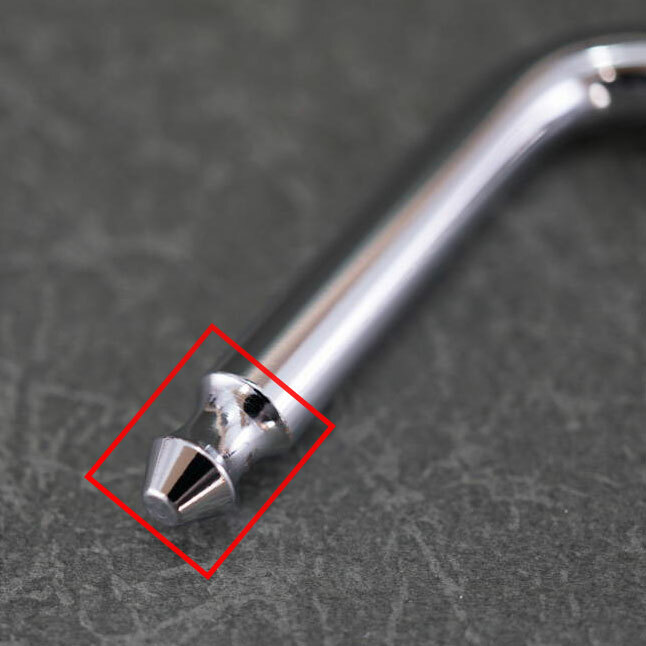 Loosen the screw and remove the socket. And remove the arm holder from baseplate. If it is difficult, use plastic hammer and hammer softly. Put holder's spring slit toward tremolo block lika picture and fix arm holder by using 2 wrenches.